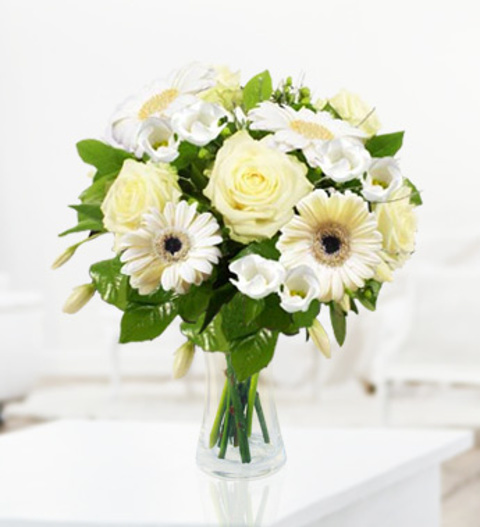 Lush is a splendid arrangement of gorgeous roses, gerberas and lisianthus beautifully arranged in this pleasing fashion. The arrangement in beautifully arranged by our talented British florists and is perfect for all occasions. The bouquet is hand delivered to your recipient. Order our Lush bouquet for delivery today! Order by 3pm for same day delivery.